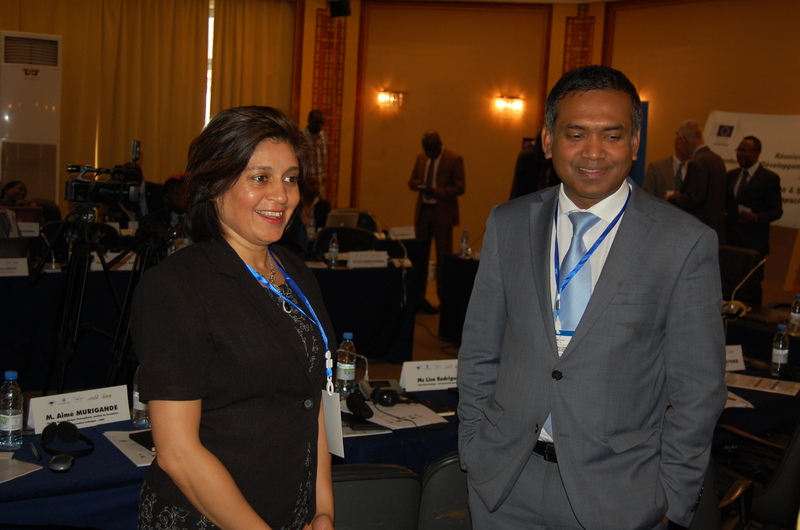 The Hub & Spokes (H&S) Programme organised its ‘’3rd global network meeting’’ in Dakar, Senegal on 27-28 June 2016. The aim of the meeting was to provide an opportunity for Programme stakeholders and partners, including TradeComII (TCII) representatives, to discuss the implications of a changing global trade landscape on ACP countries and regions and provide a platform for participants to share their experiences. TradeCom II, represented by its Regional Trade Expert, Ms. Mohun, was invited to participate actively in the whole meeting and act as speaker in one of the panels. The objective of the panel intervention was to discuss TCII assistance to ACP in the global context of Aid for Trade. The meeting was attended by approximately 50 participants, including representatives from institutions such as the CARICOM Secretariat, COMESA, SADC, OECS, ACP Secretariat, EC representative from Brussels, the Commonwealth Secretariat, the OIF, and the WTO. National and regional Trade Advisers were also present, from a number of countries such as Marshall Islands, Jamaica, and Cameroon amongst others. The TradeComII ’s mission to Dakar provided the Regional Trade Expert, and therefore the TradeComII, the opportunity to interact and discuss with representatives of different regional groupings, the ACP member states, regional and international organisations present. Such forums help coordinate work being undertaken by various institutions in the field of trade, and thus avoiding duplication of work. Collaboration is thus promoted, helping improve Aid for trade initiatives and technical assistance delivery in ACP. The meeting also allowed face to face meetings with the direct beneficiaries of the TCII programme.